If you’re more technical, you may want to do this manually. If you consider yourself non-technical, there are Shopify app that create falling flower effect for your Shopify store. It’s Snowfall Effect by Anh Kiet. Don’t worry about its name. Because the app helps you to create many amazing effects for your Shopify store not just falling snow effect. First, you must go to the Shopify app store and search with keyword: “Snowfall effect” to see this app or you can click here to go to direct the app. Clink onto Add app button to install this app for your store. Actually, with the free version you just have one effect – falling snow effect. If you would like more effects for your store, you must upgrade to Pro version. How much? It’s very cheap – just $1 a month. After upgrade you have multiple effect for selection. Now, to create falling flower effect for your Shopify store you select “Falling Flowers Effect” option. After that, click onto Save Options to save. 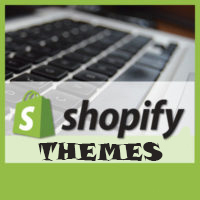 To enable the effect on your Shopify store you click onto enable button.